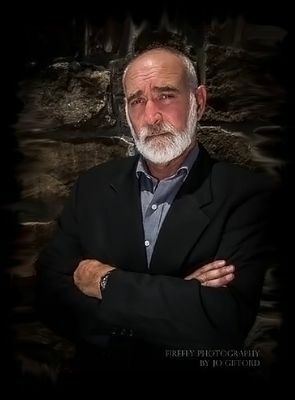 John Zaffis is considered one of the foremost authorities in paranormal investigation today, with more than 40 years of experience studying and investigating the field. His research has taken him throughout the United States, Canada, England and Scotland to face ghosts, poltergeists, and demonic and diabolical entities. Studying under his aunt and uncle, Lorraine and Ed Warren, broadened Zaffis’ expertise beyond ghost hunting to also include demonology and cases of possession and exorcism. He has worked with prominent exorcists Bishop Robert McKenna, Father Malachi Martin, and the Reverend Jun, along with other Roman Catholic priests, monks, Buddhists, rabbis and ministers. He has also worked extensively with spiritualists and psychics to further the depth of his understanding. Over the years, Zaffis has collected hundreds of infested items that are currently housed for safe keeping at the John Zaffis Paranormal Museum. He wrote and starred in the 2010 documentary Museum of the Paranormal, which gives the viewer a tour of his museum and the stories behind some of the objects. Zaffis was the host of the SyFy television series Haunted Collector from 2011-2013 and has been featured on Travel Channel’s Ghost Adventures, A&E’s Ghost Hunters, Discovery Channel's A Haunting in Connecticut and Little Lost Souls as well as Unsolved Mysteries. He is also mentioned in “Graveyards” and “In A Dark Place,” both books written by Ed and Lorraine Warren. His first book, “Shadows of the Dark,” co-written with Brian McIntyre, was released in 2004.